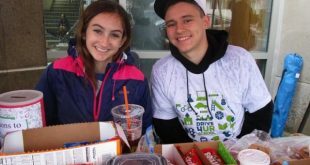 Each year hundreds of students from dozens of highs schools head over to Umass Dartmouth to compete in Junior Achievement of Southern Massachusetts’ Titan Business Challenge. This year’s event was held on March 12. Here’s a highlight reel of the even with the winners of this year’s competition. Find out more about Junior Achievement of Southern Massachusetts here. Previous Who Remembers… Old-Fashioned Vending Machines?